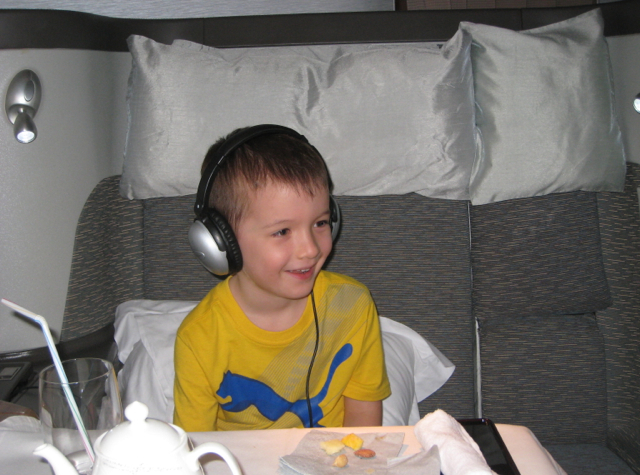 Do you know what you’re missing in your Frequent Flyer Miles for Family Travel? We all know by now it may be a little difficult finding more than one award ticket on the same journey, if you’re watching to cash-in frequent flyer miles for your family travel. Obviously, the well-mentioned ad will tell you that getting the rewards you need, when you need them, is one of the most important features of a frequent flyer program. From Family Pooling to a membership pause for Parental Leave, you can take advantage of the great Frequent Flyer Miles for Family Travel. Well then, how about trying to make things a little less difficult, shall we? Number one tip is endeavour to book as far ahead as possible; and yes, many carriers do not release their entire award inventory many months out, but ten or eleven months ahead is a predictable time. At times it works in well with a program that allows one-way bookings, which in turn, makes for each leg being booked the day it is available. Knowing your family school’s holiday schedule, you would be in a position long in advance to influence the inflexibility for awards that work for you and yours! Another tip is that because few travellers realise how airlines price multiple award tickets, carriers release seats with a limited number of seats in an award class. So initially, you could search for the minimum number of award seats that you must have, and then narrow that down by increasing the number of successive searches. You may then perhaps have to divide your reservations between paid and award seats. Why not consider splitting itineraries? Putting it plainly, most times the vacation is about the destination, not the journey. If there are just not enough award seats truly available, have each parent travel with some of the children. In that instance, you have a good way of scoring lower-level award seats for some of your travel schedule. Another point would be to consider using a change in itineraries to optimise flights. Some carriers will have low-mileage award seats available when a timetable change affects travellers, thereby making them rebook their award tickets on the new itineraries. Try booking you family on separate journeys or on a less-pleasant one, perhaps? And if the carrier changes their schedules (which does happen more than you think), you could then combine your reservations. Don’t forget, there are programs that allow pooling of points or miles between family members also. Make sure you are taking advantage of all the bonuses. There is the most lucrative credit card sign-up bonus, where you and your spouse/partner apply, and the Spend Bonus category where you earn extra points on what you spend. If there is a retention bonus in your program for keeping a credit card, you can look for some snail-mail incentive offers you could receive. The most important tip would be to endeavour to be a little flexible with dates and routes. And if you’re willing to fly during off-peak times, you have every chance of being in luck!